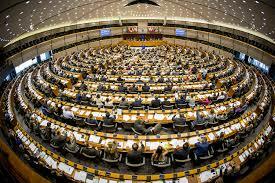 The European Parliament adopted this Tuesday (Feb.12) by an overwhelming majority the Morocco-EU Fisheries Agreement. The accord and its protocol were adopted at a plenary session in Strasbourg by 415 votes in favor, 189 against and 49 abstentions. This vote, the last endorsement step at the European level, is the culmination of a process of technical negotiations, legal validations and political consultations between Morocco and the EU characterized by serenity, trust and responsibility, in order to preserve the fundamental principles of the Kingdom’s territorial integrity and economic interests as well as the multidimensional historical partnership between the two parties. The accord needs to be adopted by the Moroccan Parliament before it enters into force and allows thus vessels from 11 EU countries (Spain, Portugal, Italy, France, Germany, Lithuania, Latvia, The Netherlands, Ireland, Poland and United Kingdom) to resume their fishing activities in Morocco’s waters. The adoption of the agreement is a clear response to the maneuvers and attempts to disrupt the longstanding partnership with Morocco. It also responds to those who were doubting the inclusion of the Moroccan Sahara in the agreement, as the text clearly specifies that the fishing zone extends from Cape Spartel in northern Morocco to Cape Blanc in the south of the Kingdom. “This adoption also confirms that Morocco is the only country legally entitled, within the framework of the exercise of its sovereignty, to negotiate and sign agreements including the Moroccan Sahara,” said the Moroccan Foreign Ministry in the statement released Tuesday. “These legal instruments cover the Moroccan Sahara region and explicitly stipulate that the fishing zone extends from parallel 35 in the North, to parallel 20 in the South, from Cap Spartel to Cap Blanc, south of Dakhla,” the statement added. “After the adoption last month of the Farm Agreement, Tuesday’s vote confirms the commitment of both Morocco and the European Union to strengthening their strategic partnership, as well as to preserving it from the desperate political and legal maneuvers carried out by Algeria and the Polisario,” the Foreign Ministry pointed out. The fisheries agreement between Morocco and the EU, which sets the conditions for access for the European fleet and provides the requirements for sustainable fishing, was endorsed by the Council of the European Union end of last November. Under this new sustainable fisheries agreement, the two sides agreed on the content of the deal, the areas it covers and its implementation protocol. The text specifies explicitly the fishing zones and access conditions for European trawlers, according to the categories of fleets and target species, the Moroccan Ministry of Agriculture and Fisheries had said in a statement following the signing of the deal. The level of compulsory landings and fishing categories remain unchanged compared to the former agreement, while the number of vessels concerned by the new agreement would reach 128 compared to 120 under the previous accord that expired in July 2018, the statement said. The new agreement provides for an increase of 30 percent of the financial payment to Morocco, which will thus go up from €40 million a year to €52.2 million. The two sides also agreed on the implementation of improvement measures to increase benefits for the local populations in the concerned areas as these populations will benefit from the socio-economic advantages of the agreement, mainly in terms of infrastructure, basic social services, enterprise creation, vocational training, development projects and modernization of the fishing sector. The number of boarding contracts for Moroccan sailors and fishermen aboard European fishing vessels will also increase. To bolster the socio-economic impacts on the fishing areas covered by the deal, the text provides for a compulsory landing volume, the same as in the previous agreement, but increases penalties from 5 percent to 15 percent in case of non-compliance with the landing requirements. Besides, several technical conditions have been included in the new agreement in order to preserve the sustainability of fisheries resources and protect the marine environment, such as a review of catches of small pelagic in the south. In order to preserve some species, octopus and shrimps are not included in the agreement. Also, the Mediterranean Sea is excluded from this perimeter in order to preserve its resources, which are overexploited. Fisheries monitoring and control system was also strengthened by making the presence of observers compulsory for some categories that were not provided for in the former agreement.